You did indicate that the duties and life of a wife of a Prime Minister must occasionally be very onerous. I can assure you that they are onerous for one hundred and fifty percent of the time. 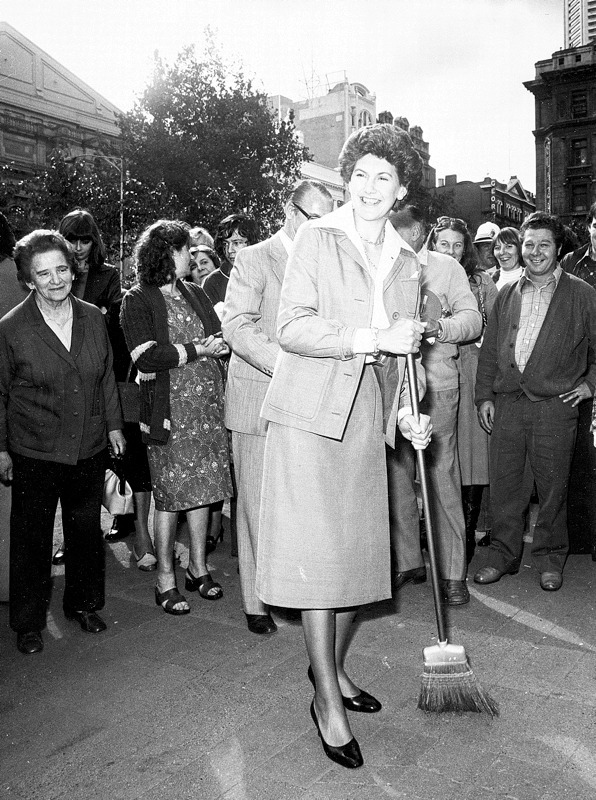 In addition to assisting their partner in political campaigns, Prime Ministers’ wives are expected to participate in official duties that come with the position. These are many and varied: they can include hosting foreign dignitaries in Australia; accompanying their husbands on national and international trips; attending conferences and functions; launching ships; and endless public speaking engagements. In these roles they have attended the opening of Parliament; hosted visitors at the Lodge and Kirribilli; visited Buckingham Palace, the White House or the Japanese Imperial Palace; been present at royal coronations and conferences on war and women, and made speeches on behalf of the nation. Through it all they have to act with dignity and compassion, retain their sense of humour and above all, look the part. 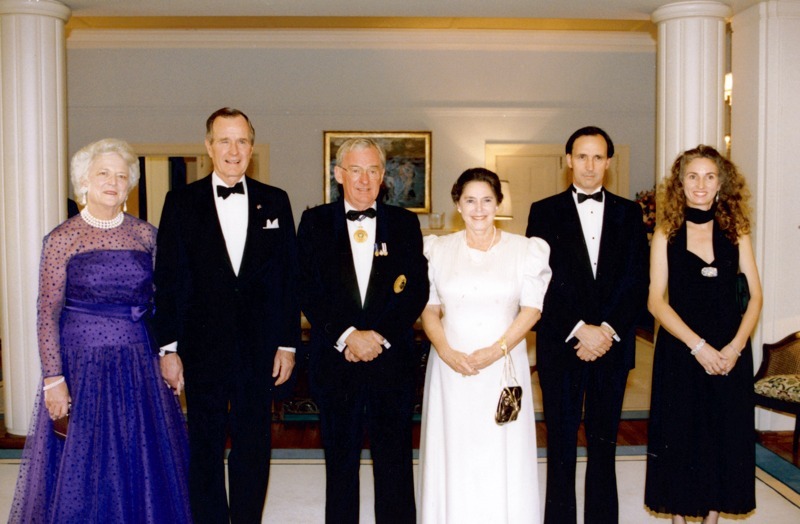 Mrs Bush, President Bush, Governor-General of Australia Bill Hayden, Mrs Hayden, Prime Minister Paul Keating and Mrs Keating at Government House. 1992. National Library of Australia.